Monaco is a delightful little principality in Europe, famous for being a tax haven, for the Formula 1 Monaco Grand Prix, and as a holiday destination on the French Riviera. 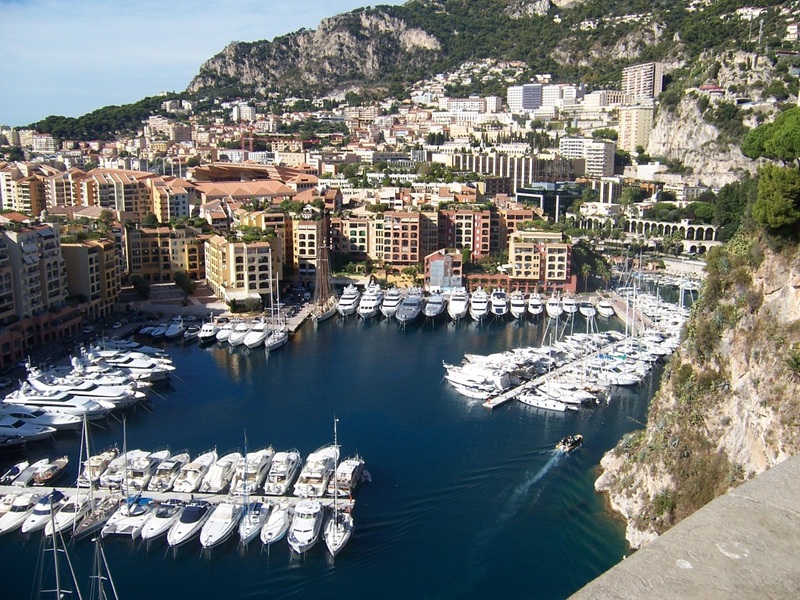 As such, people in Monaco tend to be rich and famous, and life in Monaco is one big holiday. The same can also be said of the hotels in Monaco. The hotels display the same characteristic traits of overflowing luxury and old-world European charm. A stay at one of the luxury hotels Monaco has tends to be part of the overall Monte-Carlo experience, rather than just a place to sleep. The best of these choices, aka the top 10 hotels in Monaco, are listed below. 1. Hotel de Paris Monte-Carlo: Historic hotel in the Place du Casino which was opened in 1864 by none other than Prince Charles III of Monaco. The hotel has 182 rooms and 74 plush suites, not to mention 3 restaurants, and direct access to the Les Thermes Marins de Monte-Carlo, which is widely acknowledged as the most beautiful hotel spa in Europe. 2. Columbus Monte-Carlo: This hotel was opened by Prince Rainer in 2001, and was formerly co-owned by F1 driver David Coulthard. So it's not surprising that the designer chic hotel rooms are popular among visitors and celebrities who come for the Grand Prix. 3. Fairmont Monte-Carlo Grand Hotel: One of the most luxurious 4-star Monaco hotels, the Grand Hotel has the history and all the trademark Fairmont luxury and resort facilities. It is also a large hotel with over 600 rooms, and yet offers Monaco style service with personal attention for each guest. 4. Hotel Ambassador: This hotel is also situated ideally with the Casino Square, Prince's Palace and Port Hercule all within hailing distance. Guests have access to every modern amenity required, including wifi internet, cable tv and a bathtub with a shower. 5. Port Palace: The Port Place is a boutique hotel and as such, retains an identity and personalized service that can't be found in the other chain hotels. It also has a Michelin star gourmet restaurant and bar on the sixth floor. Also to be noted that some of the rooms offer an excellent view of the Grand Prix as the F1 race cars weave in and out of the streets of Monte Carlo. 6. Hotel Hermitage: The Hermitage is yet another star among MonteCarlo hotels, with views of the Mediterranean and the marina. Hotel Hermitage offers direct access to the Les Thermes Marins de Monte-Carlo. It also has a quality restaurant in Le Vistamar, which offers seasonal cuisine prepared under the watchful eye of star chef Chef Jo�l Garault. 7. Hotel Metropole Monte-Carlo: Hotel Metropoleis a historic hotel which dates back to 1886 and has been refurbished in 2004 with help from interior designer Jacques Garcia. In addition to all the modern amenities and facilities that hotel guests need, the Metropole also offers access to the Monte Carlo Casino, has a heated seawater outdoor pool, and direct access to a private beach. 8. Monte Carlo Bay Hotel & Resort: A baby by European and Monaco standards, the 334 room Monte Carlo Bay Hotel & Resort opened in 2005. But the hotel already knows a thing or two about luxury and offering guests whatever they need. Built on the water's edge, the hotel grounds have a 4-acre garden, restaurants, casinos, a night club and shows, and everything else that a guest could possibly need. 9. Monte-Carlo Beach Hotel: As the name implies, the Monte-Carlo Beach Hotel is an exclusive 26 room sea facing hotel where every room has a view of the Mediterranean. It has a restaurant alongside the Olympic sized pool, and a bar and grill with a seafood menu located out on a peninsula which requires a boat transfer. There's also Sea Lounge for sushi with cocktails and champagne. 10. Le Meridien Beach Plaza: Le Meridien also offers the same sweeping views of the Mediterranean, and has a private beach to boot. Le Meridien is also good for meetings and events with a 3000 sq meter conference centre looking down on the sea below.